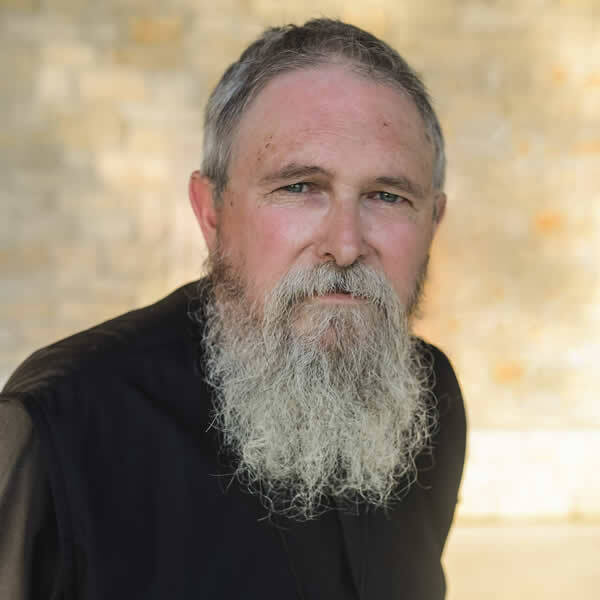 The Russian priest took the brush from him, plunged it in the water and proceeded to “slosh” the gathered congregation (“sprinkle” simply doesn’t describe such a application of water). I think about this story each time I serve at the Blessing of the Waters. After Church this afternoon, my parish gathered down at the local river for the Great Blessing of the Waters. The service concludes with the blessing of the people with the newly-blessed water from the river. This year, my congregation received their blessing “Russian style” though I think it was greeted to some degree as “getting wet” (of course it was also 13 degrees fahrenheit today). Such stories are light-hearted and point to subtleties in culture. But our American culture (and its response to being splashed with holy water) also reveals the latent “second-storey” that shapes our perception of the world and God’s place within it. Water can be seen as a symbol (in the modern sense of standing for something that is not there), but not as sacrament (becoming a bearer of Divine Grace). Despite the fact that Christianity is inherently linked to the material creation (“the Word became flesh and dwelt among us”) the secularized mind can only see superstition and magic when things are spoken of as holy. The two-storey configuration of the modern religious mind (we live here in a neutral, natural world while God and things “spiritual” are somewhere else – removed) cannot cope with the reality of God’s Incarnation. For a very large number of modern Christians, sacraments have ceased to have any reality other than the meaning we ourselves impute to them. To travel through what remains of ancient Christianity is to be shocked by the presence of incorrupt bodies of the saints, prominently displayed within the Church (as well as bone fragments and the like). How did Christians who placed such value on the bodies of the saints perceive the world? What seems macabre to the modern mind seemed indispensable to our predecessors. The rejection of relics and icons, the desacralization of sacraments renders our modern world “safe” from a concrete encounter with the sacred. We prefer our encounters to be polite sprinkles, marked with ambiguity and never free of doubt. But the fullness of the Tradition requires that we embrace God as He has given Himself to us. We should be plunged into the depths of His crucifixion (quite literally through the waters of Baptism). God is meant to be eaten. The fullness of the faith assaults our senses and brings us face to face with grace in the material world. It is generally delusion that carries our minds away to immaterial thoughts and imaginations of the heart. Orthodox Christianity has no lowest common denominator – it is maximal Christianity. “The kingdom of heaven suffers violence, and the violent take it by force” (Matt. 11:12). This is not to say that Orthodox Christians are masters of fasting or that their feet don’t hurt from standing for hours in prayer. Forgiving everyone for everything and the practice of continual repentance is as difficult for them as it would be for anyone. But none of us was created to tiptoe into the Kingdom. Forgive the crudeness of my language – but with such an abundance of grace – we need to “slosh” our way into the Kingdom – and rejoice in the rich mercies of God. Growing up Presbyterian, I always longed for MORE. More than the sprinkling I received as an infant. More than the symbolic snack I received at the quarterly communion services. 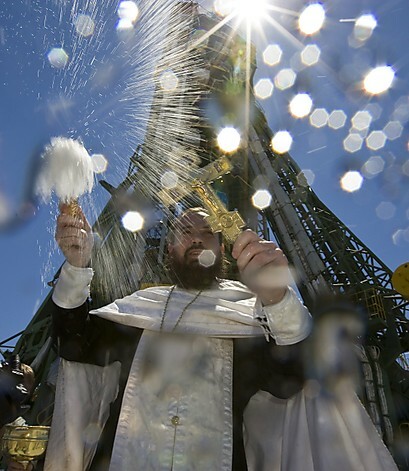 When our pastor returned from a trip to Russia with a large mop-like brush for blessing the people with Holy Water, we laughed with joy as he “sloshed” us with the newly blessed waters at Theophany, even when it messed up our hair or left wet splotches on our clothes. “The fullness of the faith assaults our senses….” What a great reminder. As always, well said, Father. As we continue in the feast, today we are blessed with snow, yet another form of water. I am reminded “though your sins be as scarlet, they shall be as white as snow.” 24 years ago this month my father passed away. It snowed that day in Tennessee. I thought of that this morning, in connection to theophany, and the “frozen water” that has been blessed that fell this morning. One of my favorite images in the movie My Big Fat Greek Wedding, is the contrast between the two families – your comments reminded me of humorous depiction. Oak Ridge is wonderfully covered with the glory of God today as well. Great post and an amazing photograph at the top. Stunning! And the Pocono Mountains are covered with the glory of God today as well. I still struggle with the importance our Church places on relics and icons. I don’t reject that there are saints’ bodies who are incorrupt. Nor do I reject that God uses icons to help us draw near to Him. However, there seems to me to be a way in which these things can be just mere trappings of our faith if one neglects the weightier matters of our faith. What good is it if someone venerates an icon, flocks to see myrrh streaming from an icon of the Theotokos, or is stupefied at the incorruptible relic of a saint, but are not changed on the inside? What if there are Orthodox converts who stuggle with the emphasis on icons and relics, but they pray regularly, meditate on Holy Scripture, practice charity toward their brothers and sister in Christ, show kindness and hospitality toward their neighbor, give alms, and attend Divine Liturgy regularly and partake of the Holy Mysteries? (communion, confession, etc.) Are not these the weightier, more crucial aspects of our faith? Are these not the MEAT of our faith? What harm will it be to my faith if I never see an incorruptible body of a saint? Jesus said to Thomas, “Blessed are those who have not seen and yet believe.” And this was in reference to HIS resurrected and glorified body. What harm will it be to my faith if I never see a myrrh streaming icon? I have seen neither of these things and yet I believe in the Holy Mysteries of our Orthodox faith. Me thinks you will say that I’m presenting a false dichotomy here. But there is a point I am trying to make. 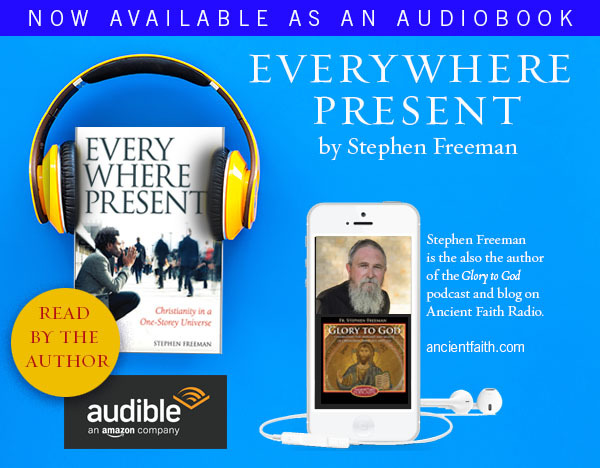 While I see myrrh streaming icons and relics as a living testimony to the veracity of our faith, I do not think they are on par with the other aspects of our faith I have mentioned above. In other words, if an Orthodox Christian seldom venerates an icon, or never sees a relic in his/her life, but they do all the other spiritual and coporeal works of mercy I have mentioned, will not our Lord Jesus be pleased with them? On the other hand, if one venerates icons regularly and flocks to see a relic and be healed by streaming myrrh of icons, but neglects the more important matters of the faith, will not their spiritual life suffer greatly? Father, this year at our litergy for the “Blessing of the Waters”, at St. George Orthodox Cathedral in Wichita, Ks., I got quite a surprise. My husband and I had gone to the litergy service, and I was having a hard time standing because of a bad knee. (I have torn cartlige and am awaiting surgery.) I sat thru most of the service, but the pain was gradually getting worse – to the point I was really wishing I had taken a pain pill before I tried to get thru the service. After I limped up to recieve communion, I was really feeling the pain and barely able to walk back to our pew. Fr. Paul and Fr. James then blessed the waters in a large bowl and went thru the cathedral sprinkling water on all of us. I was at the end of a pew closest to Fr. Paul when he came by, and he really got me sprinkled generously – in trying to get everyone in the pew. To my absolute shock, the pain was totally gone from my knee – within moments. The effect lasted for over an hour and a half. I was so excited and amazed! I was walking like nothing was wrong and felt NO pain. I walked up to be sprinkled again, and given a small cup to drink of those amazing waters. Being Orthodox is one amazing thing after another it seems! I have never experienced anything like this, but I am definitely convinced there is truly something miraculous about this service. Sprinkled or sloshed, it is wonderful! I frequently describe my transistion into Orthodoxy as going from the shallow end of the pool into the deep end, and I know now it was into truly “blessed waters”. Thanks for sharing the story. I always enjoy reading your posts. There is an obvious truth as you’ve stated the case. Nonetheless, our God came to us in the flesh, and continues to give Himself to us in very “material” ways. I think that the heart is one – and that the heart that loves its neighbor will also recognize its Lord (ultimately). The ultimate measure of our knowledge of God (according to St. Silouan) is the love of our enemies. Passion for relics and wonder-working icons is not a substitute for love of God. They do happen to be part of the world as God has given to us. Bad theology ultimately has consequences – sometimes generations removed from its root. Orthodoxy is no instant guarantee itself. But on the larger scale (as well as on the personal level) these things matter and have consequence. I’ll take love first, every time. You speak the truth about these blessings we receive through the Church, but I think we must balance this with *healthy* faith. Those newer to the Orthodox Church sometimes lack the experience to discern this subtle difference. Isn’t over-zealousness only a dash better than tiptoeing around “empty” ritual? As I told my friend today, I want all the grace I can get from wherever God wants to dispense it, wherever He may be found. I don’t think zealous is the right word for me, either…but I was a Protestant and I was starving for God in a minimalist faith; now I’m like a person whose body was long malnourished and who therefore feels like she can’t get enough of the healthy nourishment the Church provides — even though technically it’s not “necessary” for my survival. Another wonderful post, Fr. Stephen! With regard to comments/questions about the saints – of course, while there is no harm done to one’s faith if one never sees or venerates the relics of a saint. Living, as I do, in a 95% Orthodox country, the take on relics is somewhat different. Whenever the relics of a saint arrive (the head of St. John Chrysostom, St. Fotini the Samaritan, St. Anna and so many more), the lines to venerate them are long, very long. It is as if everyone has come out to greet a long-awaited friend who happens to be a very important person. There is such an air of exuberance along the line,; no one comments about the length of the line or how long it takes; everyone is smiling – and that is because we are all glad that we can say “hello” to someone who once walked this earth and has received his/her crown. How wonderful to rejoice! Indeed, Glory to God for all things! I think the worst form of “emptiness” comes not from lack of “thoughts” about “meaning”, but from lack of actions, from behavior. It is one thing to describe and decry the desacralization of the world, and something else altogether to actually LIVE sacramentally by way of unCreated Divine energies that inspire the fullness of “thoughts” in the first place, and as importantly, move the human heart to BE-ing reCreated, transfigured in the Divine image and likeness. This tragedy of “emptiness” and “desacralization” are most evident in the actual, physical reality of the “waters” that are so beloved for being the object of blessing ritual, but that are otherwise taken for granted, despoiled and desecrated by the way of life of those doing the blessing or participating in the ritual. Living the sacramental life, the life of union with the Divine Energies, is always the proper goal of Orthodox Christianity. The pollution of the planet, like all the manifestations of sin, is part of the death/hell we are slowly creating around us. The transformation of the world happens in the life of the Church (which includes the individual lives of its members). I certainly do not advocate anything less than living the faith. Another great insight into a Feast of the Church.’Sloshing’, haven’t heard that word in a long time. Do other Orthodox Churches (Ukrainian, Bulgarian, Serbian, Romanian) ‘Slosh’ on this day? Just wondering. That makes a profound point perfectly! Thank you! I think “sloshing” (for lack of a better term) is far more common than just Russia. All Orthodox bless the waters on the feast of the Theophany. fantastic. I couldn’t agree with you more! A physical reality that some people deal with is multi-thousand dollar hearing aids that can’t safely get wet. In that case (especially common in aged congregations), merely sprinkling can be a blessing—and respectful of the needs of the people. I would welcome that cold splash and know that there is blessing for me and for all the recipients of the “sloshing”! What a great story and great thoughts. Thank you kindly Father Steven, you continue to help me tear down the second story. I am looking forward to your book! Sorry for the duplicate, I didn’t notice my wife’s info was there!